It seems almost like heresy to consider something other than silver or the VIX as a candidate for the Stock of the Week, but since there have been so many posts and charts about both subjects, I thought I might offer a slightly different twist. Yes, it is time for me to trumpet the importance of VXV once again. 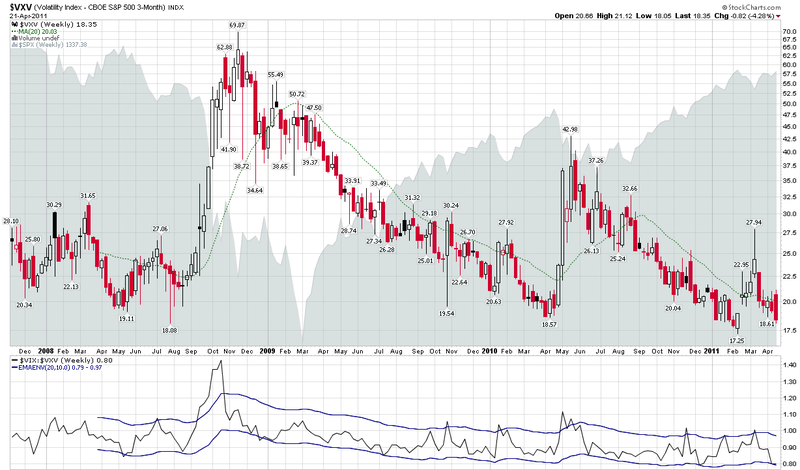 For those who may have forgotten, VXV’s formal name is the CBOE S&P 500 3-Month Volatility Index. 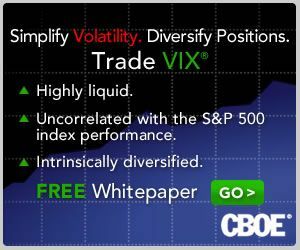 The CBOE describes the index in detail here, but the key takeaway is that VXV is essentially a 93-day version of the 30-day VIX. In other words, whereas VIX looks out at just one month of potential volatility and disruptions to the financial markets, VXV has a time horizon of one quarter. This means, among other things, that while both capture the essence of the Q1 earnings reporting season, VXV includes three FOMC meetings and three nonfarm payroll reports, among other things. And whereas there may be no significant developments regarding Greek debt restructuring, it is unlikely that this issue will not be addressed in the next three months. For these and other reasons, I have always felt that VXV provided a better reflection of long-term and structural/systemic volatility than the VIX, which is better suited to measuring short-term event volatility. Looking at a weekly chart of VXV since its October 2007 launch, one cannot help but notice a pattern of historical support in the 17.50 – 18.00 zone. Friday’s close took VXV down to 18.35. A couple of closes below could signal not just a change in structural volatility and longer-term risk, but also the arrival of a new volatility regime.